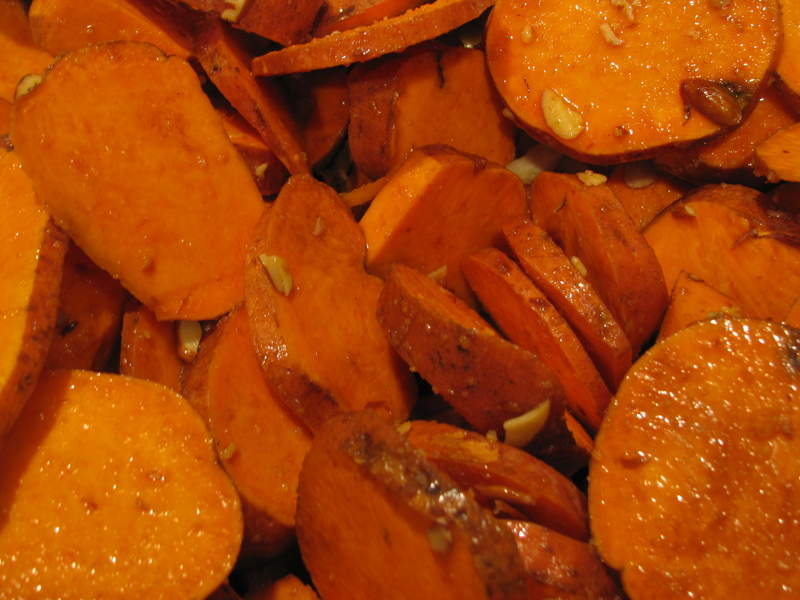 Wash and scrub sweet potatoes. Pat dry. 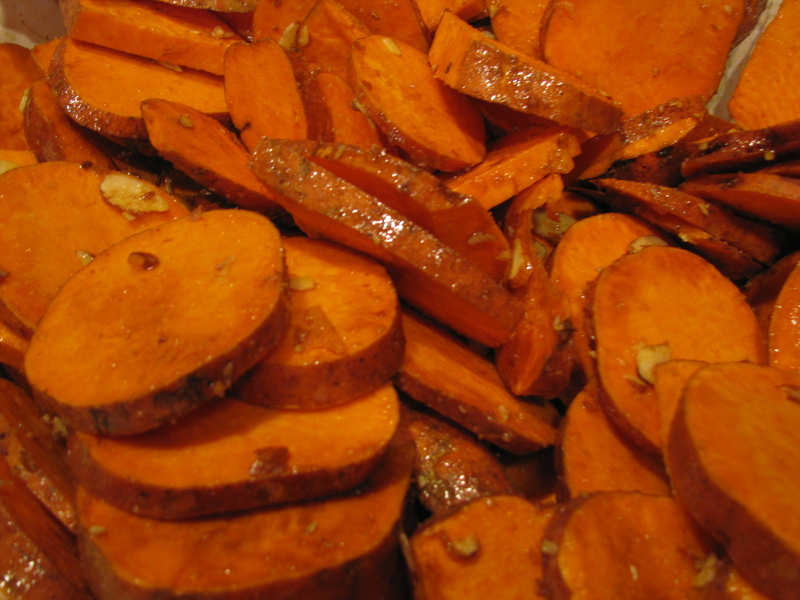 Combine all ingredients in a large mixing bowl; gently toss to coat all sweet potato ‘chips’. Spread chips onto baking mats and bake one tray at a time for 25-30 minutes or until crispy. The only problem with making sweet potatoes this way is that I devour the entire batch in one sitting 🙂 Love sweet potato chips!